This is the page where we answer the question...What in the world is the "Truman Annex"? 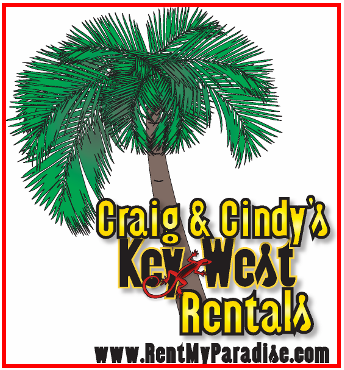 For those not familiar with Key West, we offer three different styles of rentals (home, condo & townhouse) in three of the best areas of Key West (Truman Annex, Coral Hammock, & Beachside at Marriott). This page is devoted to Truman Annex. Truman Annex at Mile Marker 0 and is ideally located in "Old Town" Key West and is an easy walk to everything fun in Key West, from the nightly Mallory Square Sunset Festival to Ft. Zachary Beach to Duval Street (restaurants, nightclubs and shopping) to numerous Museums. But why is it called "Truman Annex"? The answer has to do with the unique history of Key West. Truman Annex is a former Navy Base and is named after President Harry Truman, who had his Presidential retreat at the Navy Base known as the "Little White House" (now a museum open for tours). 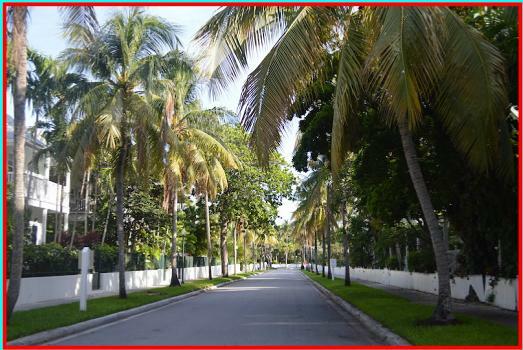 When the Navy Base closed, the base was redeveloped as a 6-block totally planned gated community designed to capture the historic essence of "Old Town" Key West. Truman Annex now has a mixture of multi-million dollar homes, townhouses, condos, and even a bed & breakfast as well as the Little White House Museum. We are one of the longest original owners having bought our first Truman Annex condo back in 1995. As a former Navy Base, Truman Annex is obviously adjacent to the water. it is also a "gated community" with its own private security and guard controlled gates. Due to its ideal location, a car is not necessary and not recommended (although all units have one assigned parking spot) and numerous bicycle and scooter rental locations are available should the need arise. 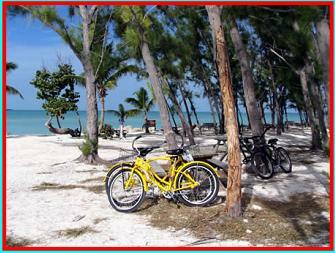 Picture to the right is of Ft. Zachary Beach, which has its entrance right at Truman Annex. The Victorian-style Truman Annex Shipyard Condos are designed with either upper or lower units with two bedrooms and one or two bathrooms to accommodate up to four guests at a reasonable rate with all the normal amenities of home, including a shared pool and internet service. Fully equipped kitchen, washer & dryer, TV's in living room and all bedrooms, music system and much more. Rent both our first and second floor units with common foyer for an even larger unit. Click here for more information on our Shipyard Condos! The ONLY condo of its type this PENTHOUSE is larger than 2 Shipyard condos combined! This second floor unit should have been two Shipyard condos but it was designed as one special unit with vaulted ceilings and a large bonus loft. The Shipyard Penthouse Condo has three bedrooms and two full bathrooms along with two lofts (one has two additional twin beds and other is a den that includes a futon bed). Amenities include a shared pool, 3 decks, vaulted ceilings, and internet service. Fully equipped kitchen, washer & dryer, TV's in the living room and all bedrooms, DVD, music system and much more. Click here for more information on our PENTHOUSE Shipyard Condo! In a secluded section of Truman Annex quietly sits three of the most presitigious two story private homes with high ceilings and crown molding. Located by the Truman Annex Presidential gate, Craig and Cindy consider these homes to be their personal hideaways, complete with multiple backyard decks and patios, privacy fencing and use of the Southard Court pool just around the corner. The upstairs features two bedrooms, two full bathrooms, laundry room, and downstairs features a back patio/deck, side patio/deck, front porch, 1/2 bath, and lots of room to accommodate up to six guests (or rent two or three houses for larger groups). Amenities include 3 TV's, DVD, music system, and internet service. Rented for those who want the best we have to offer in the Truman Annex! Click here for more information on our Fleming St Houses! The two story Truman Annex Porter House is the largest of our Key West properties and features 4 bedrooms and a private pool. Upstairs has 3 bedrooms and two full bathrooms plus two balconies and a laundry room. Downstairs features a 4th bedroom with a custom made all wood queen Murphy bed that includes a high quality pillow top mattress & large flat panel TV plus writing desk and another full bathroom, dining room, fully equipped kitchen, living room, front porch, back patio, AND your own backyard PRIVATE POOL! This house has plenty of room to accommodate up to eight guests. Amenities include 5 TV's, DVD, music player with music library, and internet service. Rented to those who want the best we have to offer plus a private pool! Click here for more information on our Porter House! The two bedroom 3 story Truman Annex Foundry Townhouse is a large property with tall ceilings and both the 2nd and 3rd floor have a large bedroom and Ensuite full bathroom (two full bathrooms upstairs and one 1/2 bath downstairs) plus a balcony. The first floor has a large living room with sleeper sofa, dining room, fully equipped kitchen, laundry room, 1/2 bath, front porches and back decks. Amenities include 3 TV's, DVD, music system, internet service, washer & dryer and much more. Click here for more information on Foundry Townhouses!